The key is to have a clear purpose or learning goal and high levels of commitment fr om the team members (i.e. AVOID doing team building ideas TO them, do team building WITH them by encouraging high ownership of the team building ideas used and of the planning, design, decision making and feedback / follow-up processes involved). * Classroom team building activities designed to boost the 10 key characteristics of a team (please see below). In terms of self improvement, being in a team may yield very significant and valuable learning. As ever, you have the choice to be proactive about belonging to a team and, if you do, and it is appropriate, to ensure that team building ideas are used positively. The aims of team building described above, and the use of team building ideas to achieve them, may be valid for a TEAM (but not necessarily for a group). WHY? That is, a team will achieve more than the sum of its parts (2 + 2 = 5), wh ereas a group often achieves less than the sum of its parts (e.g. average “I.Q.” of group members = 110, displayed intelligence when acting as a group = 50). In a team, its members seek and create better outcomes as a result of the collective learning and experience and challenge etc. In a group, individual agendas (and egos) are more important than the common purpose and any efforts to challenge or improve may be resisted. For example, you have a great idea and need to share it with the team. Let’s say the team’s reaction is to agree with everything you suggest, compliment you on the idea, and your communication skills, and you walk out with the same idea as you walked in with. Is this good teamwork? In terms of synergy, NO, it is poor teamwork. It may be good GROUP-work, but to a real team that’s not good enough. It’s a wasted opportunity. Good TEAM-work, and team building, would have resulted in high support of you and high challenge of your original idea so that communications and learning occurred and you (and the team) walked out with a better idea than you walked in with – a great win-win to achieve. Get the idea? For a team to exist and thrive it needs a common purpose (i.e. its reason for being) which ALL team members commit to. A group may, or may not, have a common purpose and there is often patchy commitment to it. Teams are about WE, not I and YOU. Every team member accepts and behaves so that personal agendas or egos come second to the common purpose – in groups, it is often the other way round (i.e. I first, YOU second, common purpose 3rd). Once an individual (or sub-group) becomes more important than the team, and its common purpose, that’s the end. So, in using any team building ideas, a team will make sure that its common purpose is clear and agreed and understood. A group won’t bother. Strong relationships are at the heart of a real team. And trust is central to that (along with mutual respect and support). In this context, trust is defined as: I know that you will not take unfair advantage of me How would you KNOW that? Only through experience and sharing things and taking some risks with others and getting feedback as to the consequences. Trust is a two-way street though and, therefore, in a team it is necessary to be trusting AND trustworthy Does this mean that you have to like everyone in the team? No, not necessarily, but it’s a nice bonus if you do. Popularity, however, is rarely a direct goal in a real team, it is an outcome of contribution. In a group, there may be high levels of trust but often it is between only sub-groups in the team (i.e. cliques). This can lead to in-fighting or politics in the team, both of which make synergy impossible and the effective use of team building ideas very difficult. A real team has a common purpose etc. and is very keen on learning and getting feedback re how well it is doing in whatever it is doing. It does more than welcome feedback, therefore, it positively seeks it – from within the team and from outsiders who experience the team’s outputs. In particular, a team will take “a look in the mirror” every so often by sharing feedback about how it is doing and what it needs to start doing; stop doing; and change to improve (a team will often use these 10 key points as criteria for feedback and team building ideas). This self appraisal process is a key step in team building. Feedback in a group is usually very patchy, occurs only when there is a problem or conflict and is often used to score points, settle scores or dominate. It would often be seen as “too risky” for a group to follow the feedback process that a team would embrace. Leadership is both vital and inevitable in a team, especially as all team members are informal leaders. There may be a formal leader of the team (e.g. club captain; chairman; father or mother; manager), but leadership moves around based on the team’s needs. That is, whoever the team turns to (e.g. for information or guidance or help or support), becomes the team’s informal leader at that point in time and the formal leader (if there is one) will not compete with this. In a group, leadership is often confused and confusing or maybe a strong personality attempts to dominate and direct the team. The idea of informal leadership that moves around within the team would be dismissed as chaos. Click here for some inspiring leadership quotes. The golden triangle of communications is very evident in a real team. Members question a lot, listen a lot, and check understanding with frequent summaries. In particular, they listen very well, knowing that apart from learning this communication skill builds mutual support, respect and trust – priceless. Watch a group meeting and you are most likely to see either a few loud voices dominating the communications or much cross-talking and interrupting, going round in circles and wasting time by repeating the same thing several times. A team is very motivated to improve everything (including its own team work through the use of various team building ideas). This shows itself, in particular, in how it goes about problem-solving. It will love its mistakes “to death” so that learning occurs and it can achieve higher standards in what it does. The same mistake will very rarely happen again. A group, on the other hand, may frequently repeat its errors and may often be heard asking, “what did we do last time that happened” – oh, dear. In a group, accountability most frequently manifests as blame – e.g. who’s fault was it? ; who do we “punish”? The most likely outcome of this is to encourage the “11th commandment” behaviour – i.e. thou shalt not get caught. In a team, accountability is welcomed to close-the-loop on achievements and ensure learning occurs. If someone makes a mistake, the response is to question in depth to learn so that it won’t happen again. The only exception to this is if the mistake occurred on purpose or if it is the third time the same person has made the same error. 10. Participate, learn, have fun. This is a tricky area because belonging to a team does NOT mean that you have to become a clone or change your personality but……. …….If you are in the team and contribute absolutely nothing (your silence is deafening), this means that the team is being denied your contribution to its synergy – a weakness that would concern the team. Yes, but some personalities are more introvert than others, aren’t they? The team can’t or shouldn’t force them to participate and be uncomfortable, should it? NO. However, the team would value that person’s contribution and would be keen to see that she or he had every opportunity to do so (e.g. by being inclusive, asking for opinions, supporting questioning by the person). Also, the team would keep one eye, as it were, on the learning that was going on in the team and on the fun that occurred in the team. A real team sees fun As both an indicator that relationships etc. are ok and also as an investment in strengthening those relationships for the future. In a group, fun may often be used in a humiliating way (e.g. sarcasm or a means to score points or to put members in their place). Learning doesn’t always figure high in a group’s priorities and as long as the dominant individuals get their voice heard, the full participation of others is seen as irrelevant. Festival is an event, usually and ordinarily staged by a local community, which centers on and celebrates some unique aspect of that community and the Festival. Unfortunately it’s not a matter of ‘organise it and they will come’. Network through your group and get them to promote it. If you are selling tickets offer sellers’ prizes. Have members of your group wear promotional t-shirts in the lead up to the event. Corflute posters (similar to real estate boards) on the front fence of all members of an organisation, en masse is really effective. Register your event with local papers as well as online directories. If your target market is online, use Facebook and Twitter. There are fetes and festivals on most weekends. Why should people go to yours? What makes yours different or better? Decide what it is and make that the hook of your event. Fr om being too cramped in a location to floating around in another. Neither provides a fun vibe. Don’t choose a location that’s too far away fr om public transport or where there is insufficient parking. You need to make it easy for people to get to your event. Once they are there they will want to be comfortable with plenty of shade, access to seating and toilets. If people are uncomfortable, they won’t come again next year. Volunteers are the lifeblood of all organisations. How many potential volunteers sit on their hands after a bad volunteering experience? Wh ere they put their hand up for a simple task but ended up working hundreds of hours. Or worse, wh ere they were happy to help but ended up sitting around for hours as no one had organised enough work for them. Your volunteer’s time is valuable – make every second count! It’s important to raise money for your event, however you don’t want your visitors to feel like they haven’t received value for money. You might raise lots of money this year, but next year they won’t be back and they won’t bring their friends. 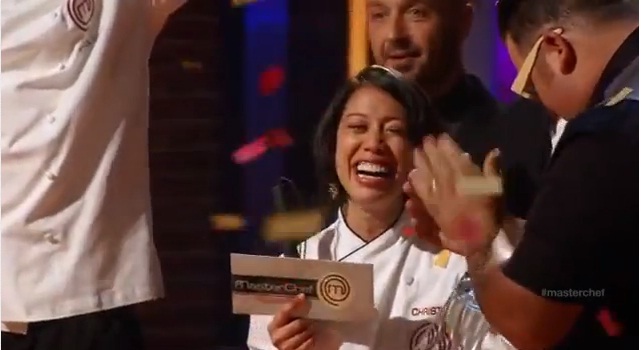 Master Chef US season 3 has been popular with Christine Ha. She is the first blind chef, the first Vietnamese chef, and the first blind master chef of US. Christine Ha won with Vietnamese food at the beginning and ending. Many people said that: “I will not watch Master Chef if Christine is going home”. And they are not disappointed because Christine went into the finale and became a winner. What made every one remember her are her stunning smiles, her tears and her effort. 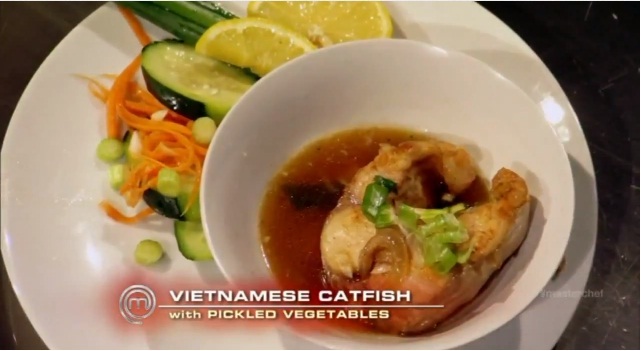 In the audition round, Christine Ha got White apron with 3 Yes by Vietnamese catfish. At last, she won by 3 dishes. 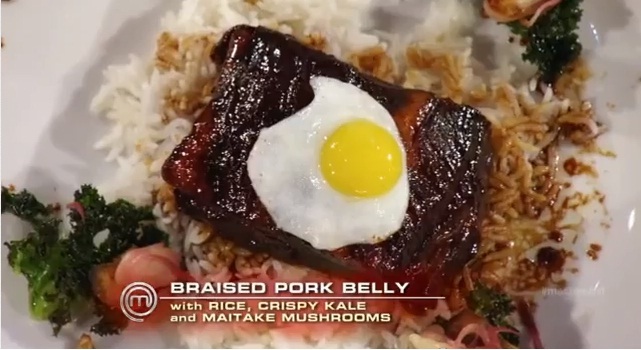 One of them is Vietnamese food called Braised pork belly. Her cooking book is coming soon. Can’t wait for that one!